In episode 26 I interview the founder of No Excuses Summit and Chief Marketing Officer for Elite Marketing Pro, Ferny Ceballos. Ferny shares with us some of his tips for launching and promoting a successful live event. If you're an up and coming leader in your organization or building locally this is definitely an episode to listen in on. Find out how to host live events and make money selling from stage like the pros do! When the best time to host your own event is, including team size and other details. Things to consider prior to hosting the event to prevent yourself from losing thousands of dollars. Ingredients for a successful event, including suggested content, presentation dynamics and more! Presentation mediums that work great for a network marketing audience. How and when to make an offer to your audience so they are more likely to buy. Why you should consider incorporating workshops into your event and what to do to promote them. 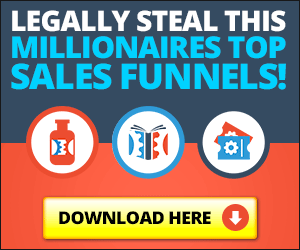 No Excuses Summit (affiliate link) – Get your tickets here and don't miss out on what appears to be the best lead generation event of the year. Only attend if you plan on utilizing the internet to fuel your business! Ferny Ceballos – Ferny's blog and more resources he recommends. The No Excuses Summit link for the event is an affiliate link. If you opt to attend let's meet up and grab lunch or something! Also, once you purchase your tickets you'll be able to promote the event as well and make a nice little income from it. Thanks for listening Alpha Nation, you rock!